Fashion does not necessarily have to be clichéd in terms of clothes and accessories. There are various segments in fashion itself which can alone identify style and define them entirely. 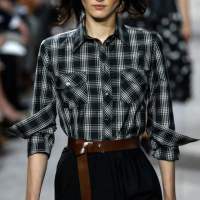 This is exactly what we saw at The Rodnik Band on ZAGREB FASHION WEEK show on May 10 2012 in Zagreb Croatia which is also our “Style pick of the day”. The designer Philip Colbert has a deep inspiration from the Pop Art movement and the artist Marcel Duchamp. There were numerous musical performances while the show was on. They represented an implausible combination of music, art and fashion. The collection had a string of bright colors which brought in some relief from the mundane color palettes that we have been noticing. Interesting silhouettes and patterns made the garments stand out despite of the simplicity. Since we were mentioning pop art as part of the ensemble, let’s also talk about what mainly caught our attention apart from the clothes. 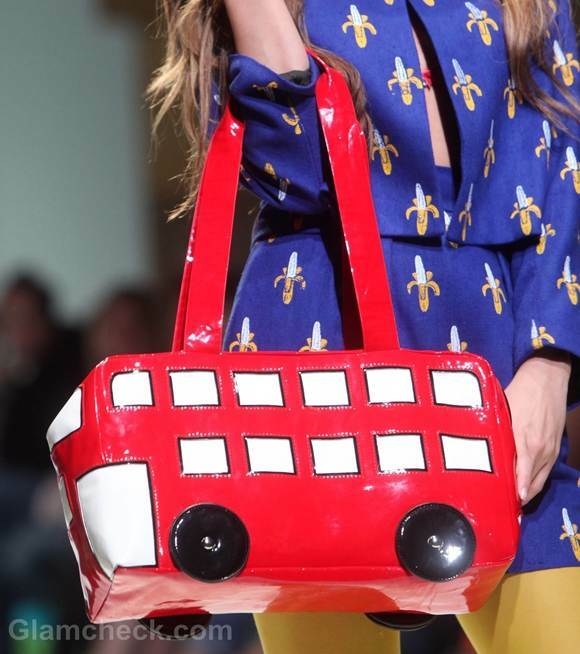 The famous London Double Decker Buses as your carry bags! It’s funky, cool and absolutely pop art certified. It’s fun to carry around these bags as they always add a fun element into your style wardrobe. Experimentation is definitely a good way to go. Try leaving out your Chanel’s and Parda’s or LV’s and grab something funky as this. It’s easy to carry these bags with casual wear. If you are going to the movies or just hanging around with your group or probably taking a quick detour this can definitely be your partner in crime. A simple jean and t-shirt, or denim shorts or a summer dress, it will be thumbs up with everything.